Nxt testrelease 1.7.0e has been released. This is an experimental release. The new features will be activated at block 483000 on testnet (Nov 30) and 621000 on production (estimated Jan 21, 2016). All testnet nodes are required to upgrade to this release. Those that don’t will remain on a fork. Production nodes will need to upgrade to the stable 1.7 version once it is released (expected before end of December), but in any case before the hardfork scheduled for block 621000. Coin shuffling can be used to perform mixing of NXT, MS currencies (unless created as non-shuffleable), or AE assets. Any account can create a new shuffling, specifying the holding to be shuffled, the shuffle amount, number of participants required, and registration deadline. This is done using the shufflingCreate API. creator), shufflingProcess, shufflingVerify or shufflingCancel APIs, or, much more conveniently, by starting an automated Shuffler, using the startShuffler API. Once started, the Shuffler monitors the blockchain state for transactions relevant to the specified shuffle, and automatically submits the required transactions on behalf of the user, performing shuffle processing, verification, or cancellation as needed. To do this, the Shuffler is required to keep the user secret phrase in memory, therefore it should be run on a trusted local machine only. A restart or a crash of the node requires the shuffler to be started again using the startShuffler API, as it should never save the user secret phrase on disk. To participate in a shuffling, a deposit of 1000 NXT is needed, in addition to the amount of currency or asset being shuffled. Or if shuffling NXT, the amount of the shuffle must exceed this 1000 NXT minimum. If the shuffling completes successfully, this amount is added to the recipient account balance, to allow it to send outgoing transactions (as it is required that only new, unused accounts are specified as recipients). If the shuffle fails due to a registered participant failing to participate as required, or intentionally submitting false data, the participant responsible for the shuffle cancellation is penalized by retaining this deposit and sending it to the forgers of the shuffle finish block and the previous three blocks instead. If a shuffle is cancelled because the required number of participants is not met, nobody is penalized and all deposits are refunded. On testnet, the deposit and penalty is 7 NXT only. After shuffling registration is complete, participants must submit processing data within a 100 blocks period each (10 blocks on testnet). For the verification and blame phase, the total allowance for all participants is 100 + numberOfParticipants blocks (again reduced to 10 + n blocks on testnet). Full blocks are not counted towards the limit. If at any stage the deadline is reached without some participant submitting the next required transaction, the shuffling is cancelled at this participant’s fault. It is therefore critical that after registering for a shuffling, the shuffler started is left running until its successful completion. If the node must be restarted, all previously running shufflers must be started again manually. getAssignedShufflings, getHoldingShufflings, getShufflers, getShuffling, and getShufflingParticipants. If desired, finished shufflings can be automatically deleted from the database if the nxt.deleteFinishedShufflings property is set to true (default is false). shuffling process or shuffling cancel transactions 10 NXT, and for the verify transaction 1 NXT. Any account can be restricted to only be allowed to issue phased transactions subject to a specific voting model. This is achieved by the account submitting a setPhasingOnly transaction using the setPhasingOnlyControl API. The getPhasingOnlyControl API can be used to retrieve the status of an account phasing control, and getAllPhasingOnlyControls to get all accounts subject to phasing control with their respective restrictions. Once set, the phasing only account control can only be disabled or changed with another setPhasingOnly transaction, itself subject to the currently set phasing restrictions. Note that by-transaction and by-hash voting models are not allowed for phasing control, and setting voting model to none is used to disable the control. To prevent deadlocks due to cyclic account control restrictions, approval transactions themselves (PhasingVoteCasting) are not subject to phasing only account control. When setting phasing account control, a maximum fees total can be specified, limiting the total fees for currently pending phased transactions of the controlled account, and limits can be placed on minimum and maximum phasing duration allowed. Transactions of accounts subject to phasing account control with restriction on maximum fees are throttled at one per account per block. Phased transactions with a voting model that does not depend on account balance (such as by-transaction or by-hash), or by-account with no minimum balance and with a whitelist, will be released before their finish height as soon as approved (in the block in which the transaction causing their approval is executed), if possible. Such early finish is guaranteed for transaction types known to be phasing safe. For others, if the early finish does not succeed due to the transaction failing validation at this height or conflicting with another transaction in the same block, a second, final release attempt will be performed at finish height. Average block times will be 60 s, with 1440 blocks per day. Block times should practically never exceed 10 min. This applies to the total of the account own guaranteed balance plus any balances leased to it, but not to each individual balance lease. An account with balance lower than the limit can still lease its balance to another. Those are name / value pairs that can be set on any account (except Genesis), by either the account owner, or by another account. Names are limited to 32 characters, and values to 160 characters. Names are unique per account and per setter account, but not globally unique. Account properties cannot be transferred between accounts. The setter of an account property can edit it by replacing its value with another. Either the setter, or the recipient (if different) of an account property can delete it. There is no limit on the number of properties an account can have. Fee for setting account property is 1 NXT for value up to 32 chars, with additional 1 NXT fee for every 32 chars after that. deleteAccountProperty APIs. To query the properties of an account, or those set by an account, the getAccountProperties API can be used. Issuing an asset with a quantity of 1, decimals 0, and description length not exceeding 160 characters, will require a base minimum fee of 1 NXT only, instead of the regular 1000 NXT asset issuance fee. For description of more than 32 chars, an extra 1 NXT fee is added for each 32 chars. Asset name for singleton assets is limited to 10 chars, same as for regular assets. Asset issuance (excluding singleton assets), monetary system currency issuance, and alias assignment (excluding re-assignment), will be limited to only one transaction of each type accepted per block. The transaction fees for asset (excluding singleton assets) and currency issuance will be split between the forgers of the current and the previous three blocks in a 4:3:2:1 ratio. The maximum data size for each such attachment is 42 kbytes, but when coexisting in the same transaction the sum of the two is still being limited by the maximum payload size of 44880 bytes. accept multivalued “service” parameter, returning peers that match all requested services. The ports on which the open API access is running are included in the peer info of peers providing those services as apiPort and apiSSLPort fields. transaction type instead of as sending the shares to Genesis. Sending shares to Genesis will no longer be allowed. A new API, getAssetDeletes has been added to retrieve asset deletions, as using the getAssetTransfers API to find transfers to Genesis account no longer can be used for that purpose. There is also a new API, getExpectedAssetDeletes, to get asset deletes expected in the next block, analogous to getExpectedAssetTransfers. getPrunableMessages cannot continue to use just a single “isText” boolean field in the JSON response to indicate if the prunable message is text or binary. For all prunable plain messages, a new “messageIsText” boolean field is added, and for all prunable encrypted messages, a new “encryptedMessageIsText” boolean field is added in the response of the above APIs, for each message. For backwards compatibility, the “isText” field will continue to be added, but only for transactions that have either plain, or encrypted, prunable message attachment, not for those that have both. This change does not affect the attachment JSON returned from getTransaction API, as there are already separate messageIsText and encryptedMessage.isText fields there. Several transaction types or attachments will have new fees and size limits, to encourage users to utilize the prunable versions when available, and to make fees proportionate to actual blockchain space consumed. Base fee 2 NXT, with 2 NXT additional fee for each 32 chars of name plus URI total length, after the first 32 chars. Name and URI size limits remain at 100 and 1000 chars respectively. Maximum length reduced to 160 bytes. 1 NXT fee for each 32 bytes after the first 32 bytes. For encrypted messages, the length is measured excluding the nonce and the 16 byte AES initialization vector, and to account for those there is an extra fee of 1 NXT. Fees and size limit for prunable messages remain unchanged. Base fee 1 NXT, with 2 NXT additional fee for each 32 chars of name plus description total length, after the first 32 chars. Name and description size limits remain at 100 and 1000 chars. AccountInfo transactions throttled at one per block. Base fee 10 NXT for polls with up to 20 options, and total size of poll name plus poll description plus total option length not exceeding 320 chars. For each option above 20, an additional fee of 1 NXT, and for each 32 chars after 320, an additional fee of 2 NXT. Poll creation throttled to one per block. Name, description, and option length limits remain at 100, 1000, and 100 chars respectively. Base fee 2 NXT, with 2 NXT additional fee for each 32 chars of name plus description total length, after the first 32 chars. Name and description size limits remain at 100 and 1000 max. DGS Listing throttled at one per block. Base fee 1 NXT, with 2 NXT additional fee for each 32 bytes of encrypted goods data after the first 32 bytes, nonce and AES initialization bytes excluded. Encrypted goods data size limit remains 1000 bytes. In addition to the current fee for phasing (1 NXT for balance independent, 20 NXT otherwise), 1 NXT will be added for each 32 bytes of hashedSecret or linkedFullHash fields. 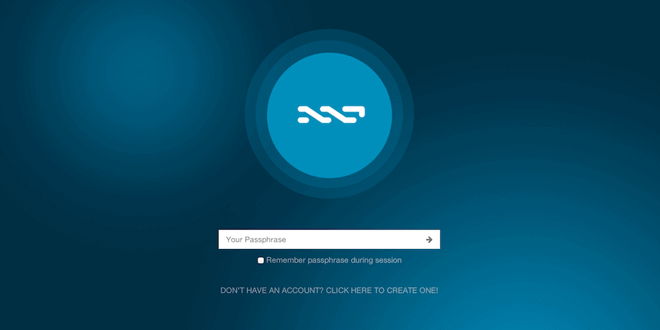 An extra fee of 1 NXT for the 32 byte referencedTransactionFullHash if set, i.e. if the transaction is using the referenced transactions feature. signed transactions, will not be corrected. This release will perform a blockchain rescan on first start.